We exist solely to build children up and inspire them to become the best generation this world has ever seen. It starts with nutrition and is sustained by creativity. This is applicable to every child regardless of where and how they live. We create super cool products that help us deliver on our promise to feed children in order to help give them the ability to think and become innovators in their own communities. 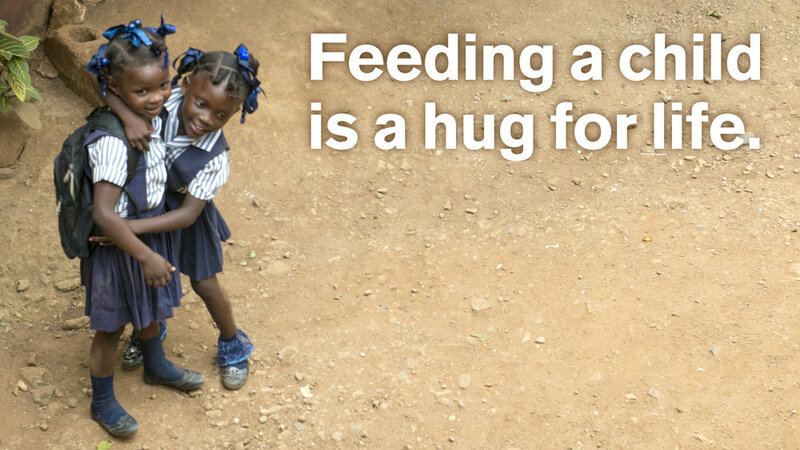 Our goal is to get to a place where we're no longer the source of feeding children in need. Because, the best solution comes from their ability to feed and think for themselves. 50% of the calorie intake of a 10-year-old goes towards brain development. How can we expect our children to contribute to building the world around them if their brains are not nourished? 1. We create awesome products. 2. You buy the awesome products. 3. We donate a portion of each sale to fund meals through our partnership with Rise Against Hunger. 4. We hand package meals with Rise Against Hunger and then deliver them to children in need. 5. Once the children are fed, we facilitate kid-centered innovation workshops lead by community leaders that are empowered by their own culture. This is where we get out of the way and witness a real growth of ideas.